Mark your calendars! 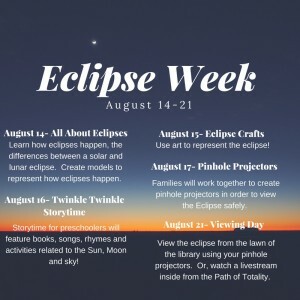 The Alfred Box of Books Library was awarded a Julena Steinheider Duncombe Mini Grant from the American Astronomical Society to provide educational programming for the solar eclipse on August 21. 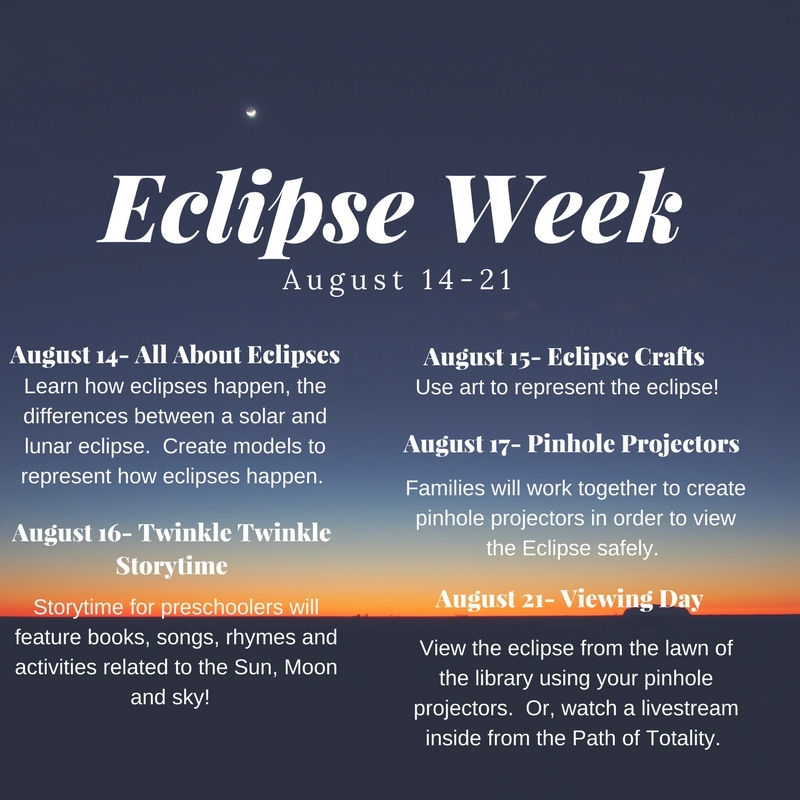 We have a lot of activities planned for all ages!